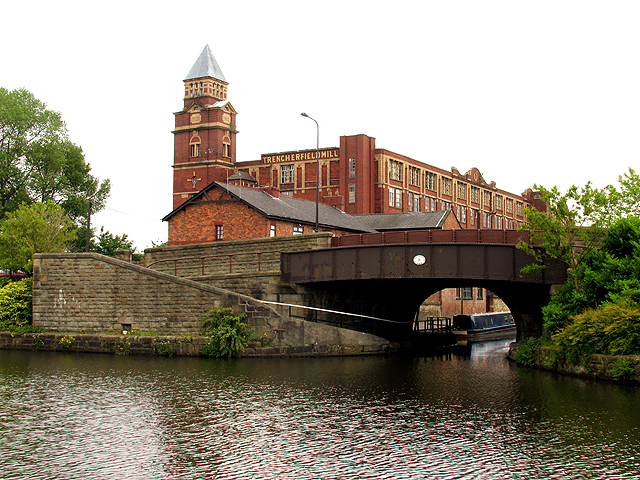 Trencherfield Mill in Wigan, a former cotton mill, now a museum. I observed an anniversary last week: March 1 marked 30 years since my wife, Melissa, and I arrived in England to work with a small church in Platt Bridge, just outside Wigan. This was the industrial North, an old town known for coal mines, cotton mills, rugby league, an ironic joke about piers, and as George Orwell’s icon for depressed, working-class England in the 1930s. Melissa and I were in our 20s and lived there only five years, but it was pivotal time for us. Our daughters were born there. We gained several lifelong friends. And we came away, as does anyone who lives in a different culture, with a changed view of the world. We arrived only three years after Margaret Thatcher became prime minister. The British economy she inherited was a mess—bloated, inefficient, stagnant, over committed to labor unions—and she intended to deliver a “short, sharp shock” (I’ll never forget her memorable phrase) to put things right. The Wigan area was especially blighted then. The district, wedged between Manchester and Liverpool, hummed with scores of cotton mills and hundreds of coal mines in the late 19th and early 20th centuries, but by 1982 all the mills and all but one of the collieries were shut. Platt Bridge, three miles from town centre, was dominated by two massive “housing estates,” government housing projects, with an official unemployment rate hovering around 25 percent, about twice the national average at the time. Wigan politics leaned left in those days, a stronghold for the Labour Party. When we arrived, Thatcherism was starting to take hold, particularly with its austere budgets and push toward privatization of major industries and transportation systems. The changes, of course, caused strife throughout the nation: rallies and demonstrations, even riots in a few places. She issued her “shocks,” and people reacted. 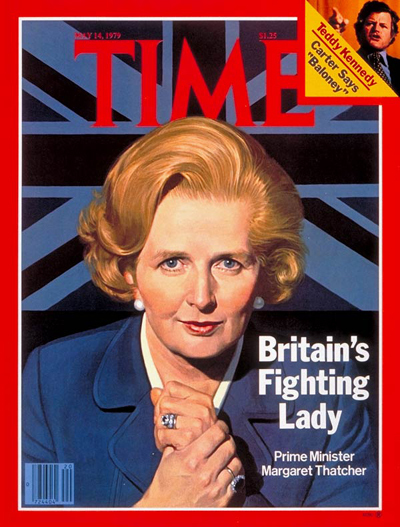 TIME magazine featured Thatcher's 1979 election as prime minister. She held the office until 1990. “Thatcherism” changed the country, eventually forcing Labour rightward before it could win the 1997 general election that made Tony Blair prime minister. There’s little doubt that Thatcher’s policies resuscitated the economy by the 1990s and ushered in new prosperity that would have been unthinkable 20 years earlier. Even Wigan flourished. But at what cost to the society? That’s a question debated for the last 30 years. Not surprisingly, Maggie Thatcher and her policies turned into an issue for Christians, including a good friend of mine who was not only a Methodist lay preacher but also a leader in the Labour Party. I checked in with him last week as part of my personal anniversary celebration. But more about that in my next post.